After looking at housing in our decaying cities, I'm switching gears to explore problems that are destroying the urban environment from the inside. The South Side of Chicago is facing an epidemic of violence, and this devastating culture crosses generations. Young people are taught the rules of the streets from an early age and don’t see an alternative. The Interrupters presents a year with activists who are trying to change this toxic atmosphere. Director Steve James (Hoop Dreams) takes an intimate look at the challenges faced by people who grew up in this life. This award-winning movie was one of the most critically acclaimed films of 2011 and is the perfect choice to close this marathon. CeaseFire is an organization that focuses on preventing conflicts before they happen. The violence interrupters mediate difficult situations and try to stop the cycle of retaliations. 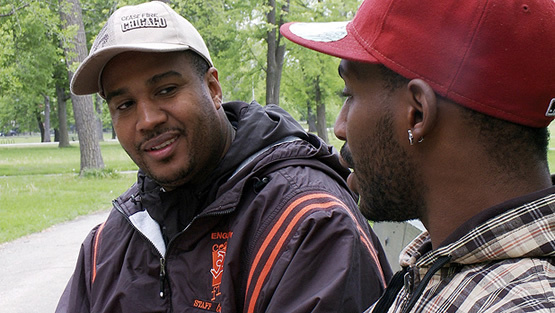 This film spends a year with this group and focuses on three CeaseFire interrupters. Each of them grew up on the streets and is still dealing with past experiences. Ameena Matthews is the daughter of legendary Chicago gangster Jeff Fort and worked as a drug ring enforcer when she was younger. Ricardo “Cobe” Williams was a criminal and spent time in jail, but he’s changed his life. Eddie Bocanegra is trying to atone for committing murder when he was 17 and works with kids to keep them from taking the same path. 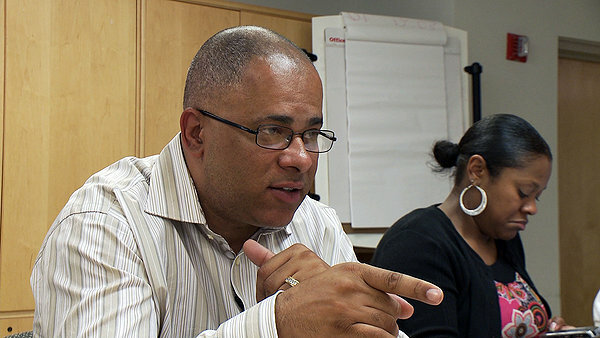 Running the show is Tio Hardiman, who introduced the interrupter concept back in 2004. He passionately leads the program but has a pragmatic approach to their jobs. Chicago is one this country’s largest cities and has a bustling downtown, so it isn’t facing the same issues as St. Louis. However, the stories presented in this movie show the continued problems, particularly in sections with lower income. James shows the limited options that push many to pursue a life of crime. Williams works with Flamo, an angry young man who sees no alternative to the street life. He’s ready to battle anyone who does him wrong, and talking him off that ledge isn’t easy. His story ends in a better place, but we get the sense it’s a small victory in an ongoing battle. During this production, Chicago took center stage across the country with the killing of Derrion Albert. The high-school student was killed on video, and Mathews gets involved with his mother after Albert’s death. 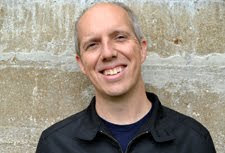 This is a tragic event that brought negative attention to Chicago, and James shows how this is hardly an isolated moment in this difficult environment. The Interrupters offers a chilling reminder that we still have a long way to go before true progress occurs. CeaseFire is making a difference for individuals and doing great work, but the epidemic of violence remains a huge issue. Founder Gary Slutkin is an epidemiologist who treats the situation like an infectious disease, and it’s an intriguing approach. The culture affects even young kids, who observe their older family members and learn the wrong lessons. Bocaengra goes to schools and talks to children, and it’s clear they’ve been affected by the violence. His story of going to jail for murder brings a redemptive quality to every interaction. It’s clear that he’s still haunted by his past and is trying desperately to make a difference. Hearing his mother and brothers talk about the devastating effects after his incarceration reveals the personal impact of every fallen soul. Judging by the DVD's deleted scenes, James had a lot more to work with than he could possibly fit in two hours. This movie is filled with interesting stories of pain and redemption from CeaseFire and its subjects. One of the toughest moments involves a young man who held up a neighborhood barbershop returning to the scene of the crime. After his time in jail, he’s ready to go back with Williams and apologize for the criminal act. The heart-wrenching response from the woman who runs the shop is honest and hard to watch. Even so, it shows the challenging conversations needed to make strides. Matthews’ interactions with Caprysha are equally difficult and show the hurdles the interrupters must push through to make progress. Every time it seems like Caprysha is moving forward, she reverts back to past behavior. It’s a relief to see her graduate high school in the extra footage. Even with the most frustrating cases, there’s always a chance. However, James shows that there are many situations where nothing can save the day. The Interrupters was developed with the Frontline series on PBS, so it has that clinical feeling. However, it also provides compelling drama that makes it entirely worthy to be a feature. A constant presence is Hardiman, who’s willing to call out the interrupters if they aren’t functioning properly. His intelligence and passion are clear in each moment and show why CeaseFire has delivered positive results. His employees are making little money but have dedication that’s missing from most professions. It’s stunning to watch Matthews get right in the face of tough guys and make a dent in their stoic expressions. Williams uses a more laid-back persona, and both approaches can be successful. Their primary goal is stopping the violence and looking for ways to connect. James shows us the obstacles they face around every turn to make this happen. He doesn’t manipulate us and lets the events speak for themselves, which is the perfect approach to this complicated subject. Next week, I'll conclude my look at urban struggles and journey into Detropia.